You can use any sketch and colour combination, and make any kind of project you like as long as you incorporate these elements somewhere on your work. 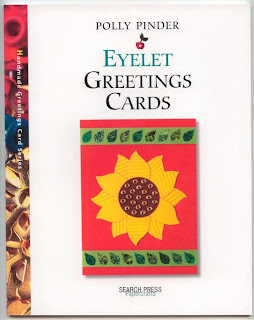 To got with my recipe I'm offering a lovely Search Press book as the prize this week - Polly Pinder's 'Eyelet Greeting Cards' - which is full of yummy ideas with step-by-step photos and loads of tips. 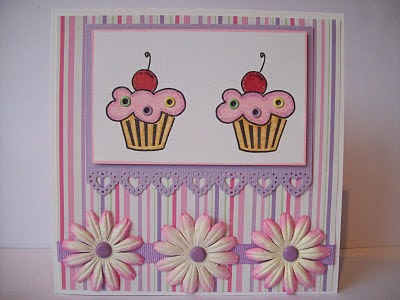 - Clare's card will be along soon! You have until 8pm on Wednesday 3rd February to get your entries in. We're all looking forward to seeing what you come up with this week! Well you all seem to like your digis,we had a great response. 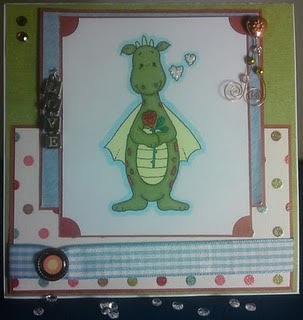 who kindly sponsored us and is giving the winner their choice of 5 Pollycraft Digi images. 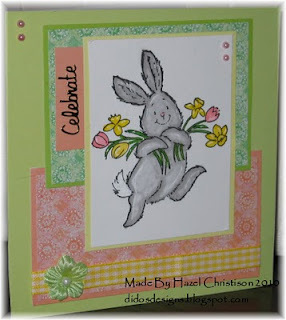 Heidi's lovely sketch challenge last week. This weeks it's my turn (Sue) to host the challenge and I have drawn a sketch for you, it's the first one I have created and shaded so I hope it's good enough. 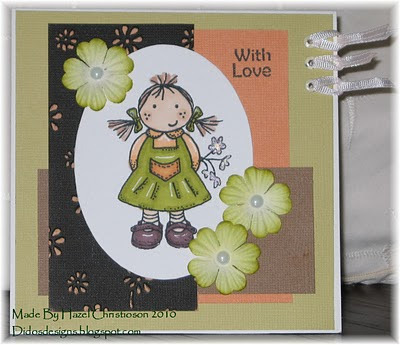 You can use any digi image, paper or sentiment or all 3 if you want,you can flip the sketch and add embellishments as you wish. Now this week we have something rather special for you all. We have a new sponsor. 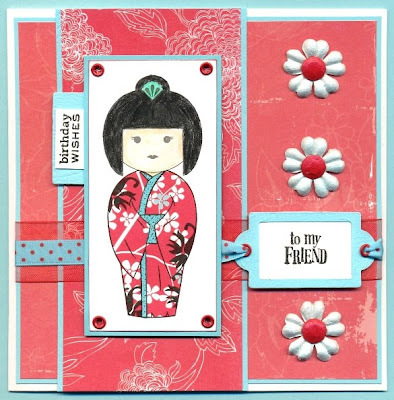 Paula designs the most gorgeous digi images,papers,sentiments and rubber stamps. They are all very affordable and cute too. 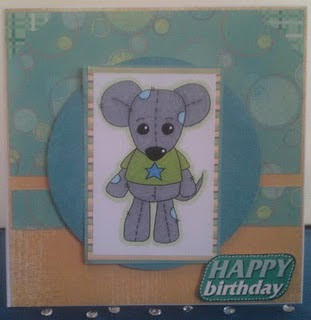 Do pop over to Pollycraft HERE and take a look, you may even find a digi image do to this challenge with. 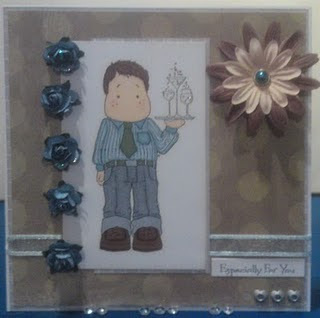 This weeks cards are truly lovely and we would also like to thank our guest designer Katie for her stunning creations over the last 2 weeks,it sure has been a pleasure.Do pop over to Katies blog and take a look at her beautiful creations. You have until 8pm on Wednesday 27th January to enter. The winner will be announced later that evening. We look forward to seeing what you create. MAWTT Challenge # 29 - The Winner!!!! Good evening, thank you to all of you that took part using my sketch/theme this week, we were overwelmed with the entries, as always! Well done Emma!!! Please email me your address so I can post your prize to you. 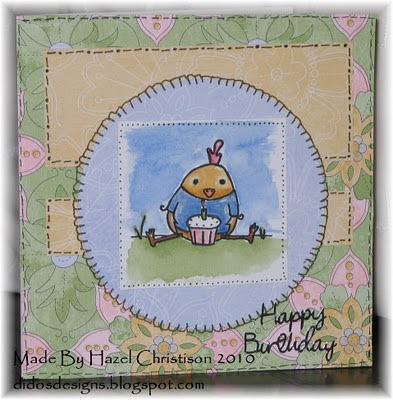 The wonderfully lovely, Susie Sunshine will be posting the MAWTT Challenge # 30 with a sketch/theme (it's fabby, I can tell you!) tommorrow, so please do pop back. Not only a great sketch and theme, we have a great sponsor too, so don't miss out! 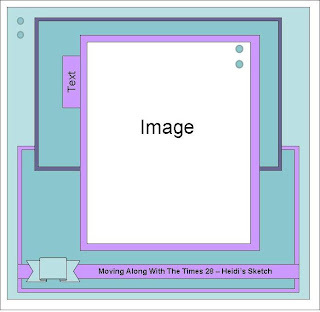 It's my turn (Heidi) to create a sketch and theme. 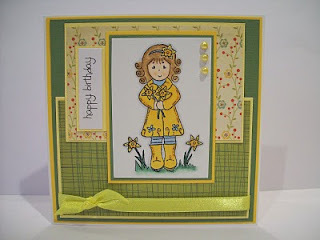 Due to the awful weather we have been experiencing, I thought the theme of 'Spring' would cheer you all up. 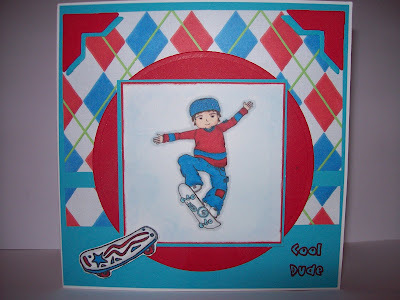 Us girlie's on the Design Team, want to see bright, colourful fun entries, using my sketch above. You can flip it around, as long as we can see a similarity. 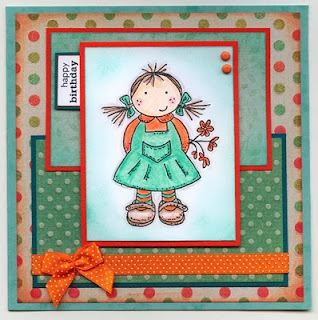 I am sponsoring the challenge this week and the prize is as below, some Fairy Doodle Decoupage Sheets and I will also pop in some ribbons and embellishments. 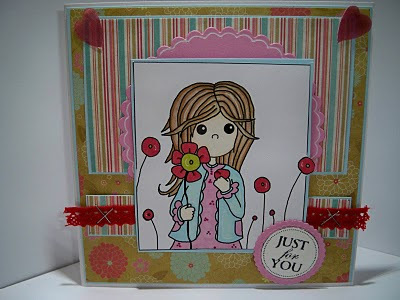 To the Design Team cards, well we are pleased to welcome Katie Louise - Katie's Creations as our Guest Designer this week and her entry is just beautiful! Here are the rest of the Design Team cards, they have really done my sketch proud, thanks girlies! Thanks for stopping by and we are all looking forward to seeing what you create. You have until next Wednesday 20th January 2010 at 8pm, when the winner will be chosen. Thanks so much for all the wonderful entries this week on the challenge. 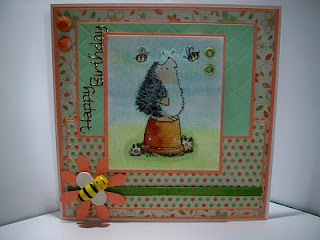 The cards were all wonderful and we have really enjoyed looking at them all. So now for the big winner of the Downloads from Craty Catz. Congratulations to you. 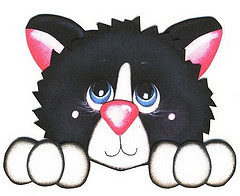 If you could send us an email with your details we will get you in touch with Tracy from Crafty Catz. Pop back tomorrow to see the Wonderful Challenge we have in store this week. Its Bright and Cheery in this wintery weather. Thanks again for joining in the fun. and i can say...its another fab one by the lovely Heidi. And its already for next weeks challenge. 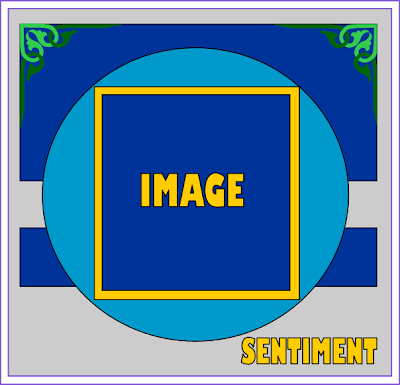 Challenge 28. 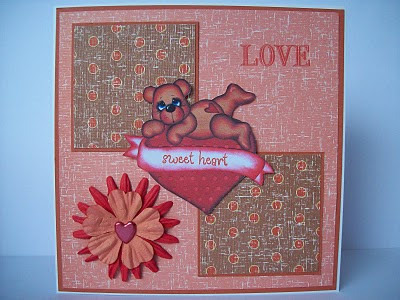 Sketch and Love Theme. Happy New Year to You All from All the Design Team here on Moving Along with the Times. We all wish you all the very best for 2010. Hope you are all keeping warm in the Wintery Weather we are having here in the U.K. Onto this weeks Challenge. Its a sketch by me (Hazel) The theme is Love. 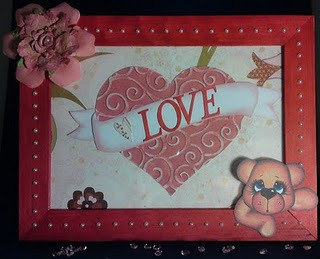 So be it Wedding, Anniversary, Valentines or just to say Love Ya! We have been sponsored by the Crafy Cat this week and were lucky enough to get some images to play with from her. 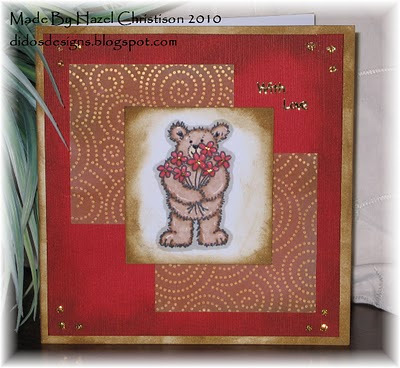 Pop over to Tracys Shop to have a nosy at the lovely images she has on offer. I am Tracy Trak to family and friends,I live with my Hubby and 7 cats who I adoreand could not live without. I am totallymad about any type of crafting and have been most of my life and I don't know what I would have done without it when I got too ill to work. It keeps me busy and sane! 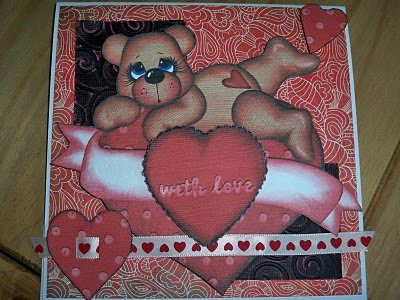 Now onto the Cards we have made for inspiration for you. 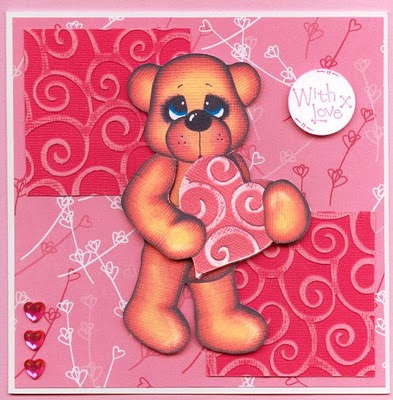 We look forward to seeing all the lovey cards you make for us this week. Pop back then to see who has won. Well done Liz, please contact me through the email address on the sidebar and I'll pass your details on to Helen to send you your prize voucher. 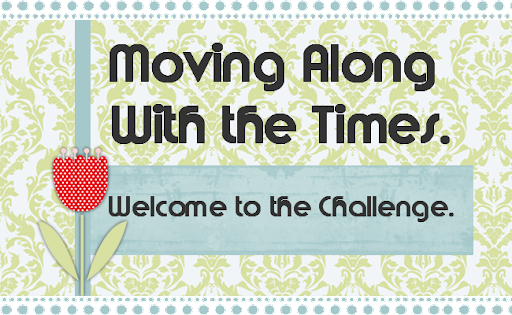 As we all move along with the times into 2010, I just want to say to all our challenge entrants, please keep submitting your lovely creations, and if you've not entered one yet, why not start with Clare's challenge #27 as there are 3 fab prizes up for grabs.